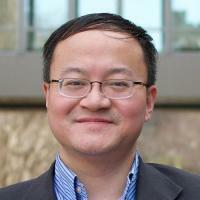 Prof. Xin Li received the Ph.D. degree in Electrical and Computer Engineering from Carnegie Mellon University, Pittsburgh, Pennsylvania, in 2005, and the M.S. and B.S. degrees in Electronics Engineering from Fudan University, Shanghai, China, in 2001 and 1998, respectively. In 2005, he co-founded Xigmix Inc. to commercialize his PhD research, and served as the Chief Technical Officer until the company was acquired by Extreme DA in 2007. In 2011, Extreme DA was further acquired by Synopsis (Nasdaq: SNPS). From 2009 to 2012, he was the Assistant Director for FCRP Focus Research Center for Circuit & System Solutions (C2S2), a national consortium of 13 research universities (CMU, MIT, Stanford, Berkeley, UIUC, UMich, Columbia, UCLA, among others) chartered by the U.S. semiconductor industry and U.S. Department of Defense to work on next-generation integrated circuit design challenges. From 2014 to 2015, he was the Assistant Director for the Center for Silicon System Implementation (CSSI), a CMU research center with 20 faculty members working on integrated circuits and systems. His research interests include integrated circuit, signal processing and data analytics. He was an Associate Editor of IEEE Trans. on Biomedical Engineering (TBME), IEEE Trans. on Computer-Aided Design of Integrated Circuits and Systems (TCAD), ACM Trans. on Design Automation of Electronic Systems (TODAES), IEEE Design & Test (D&T), and Journal of Low Power Electronics (JOLPE). He was the Guest Editor for IEEE TCAD, IEEE TNANO, IEEE TBD, IEEE D&T, IEEE JETCAS, ACM TCPS, ACM JETC and VLSI Integration. He served on the Executive Committee of ACM Special Interest Group on Design Automation (SIGDA), IEEE Systems, Man, and Cybernetics Society Technical Committee on Cybernetics for Cyber-Physical Systems (TCCCPS), and IEEE Computer Society Technical Committee on VLSI (TCVLSI). He was the General Chair of ISVLSI, iNIS and FAC, and the Technical Program Chair of CAD/Graphics. He also served on the ACM/SIGDA Outstanding PhD Dissertation Award Selection Committee, the IEEE TTTC E. J. McCluskey Best Doctoral Thesis Selection Committee, the IEEE Outstanding Young Author Award Selection Committee, the Executive Committee of ISVLSI, GLSVLSI and iNIS, and the Technical Program Committee of DAC, ICCAD, ITC, ISVLSI, FAC, CAD/Graphics, ASICON and VLSI. He received the NSF Faculty Early Career Development Award (CAREER) in 2012, two IEEE Donald O. Pederson Best Paper Awards in 2013 and 2016, the Best Paper Award from Design Automation Conference (DAC) in 2010, two IEEE/ACM William J. McCalla ICCAD Best Paper Awards in 2004 and 2011, and the Best Paper Award from International Symposium on Integrated Circuits (ISIC) in 2014. In addition to these awards, he also received six Best Paper Nominations from Design Automation Conference (DAC), International Conference on Computer-Aided Design (ICCAD) and Custom Integrated Circuits Conference (CICC). Jun, M; Negi, R; Yin, S; Alawieh, M; Wang, F; Sunny, M; Mukherjee, T; Li, X, Environment-Adaptable Fast Multi-Resolution (EAF-MR) optimization in large-scale RF-FPGA systems, Eurasip Journal on Wireless Communications and Networking, vol 2018 no. 1 (2018) [10.1186/s13638-018-1042-4] [abs]. Alawieh, MB; Wang, F; Li, X, Efficient Hierarchical Performance Modeling for Analog and Mixed-Signal Circuits via Bayesian Co-Learning, Ieee Transactions on Computer Aided Design of Integrated Circuits and Systems, vol 37 no. 12 (2018), pp. 2986-2998 [10.1109/tcad.2018.2789778] [abs]. Zhu, Q; Sangiovanni-Vincentelli, A; Hu, S; Li, X, Design Automation for Cyber-Physical Systems [Scanning the Issue], Proceedings of the Ieee, vol 106 no. 9 (2018), pp. 1479-1483 [10.1109/JPROC.2018.2865229] [abs]. Cao, Y; Li, X; Seo, JS; Dasika, G, Guest editors' introduction: Frontiers of hardware and algorithms for on-chip learning, Acm Journal on Emerging Technologies in Computing Systems, vol 14 no. 2 (2018) [10.1145/3205944] [abs]. Tao, J; Su, Y; Zhou, D; Zeng, X; Li, X, Graph-Constrained Sparse Performance Modeling for Analog Circuit Optimization via SDP Relaxation, Ieee Transactions on Computer Aided Design of Integrated Circuits and Systems (2018) [10.1109/TCAD.2018.2848590] [abs].